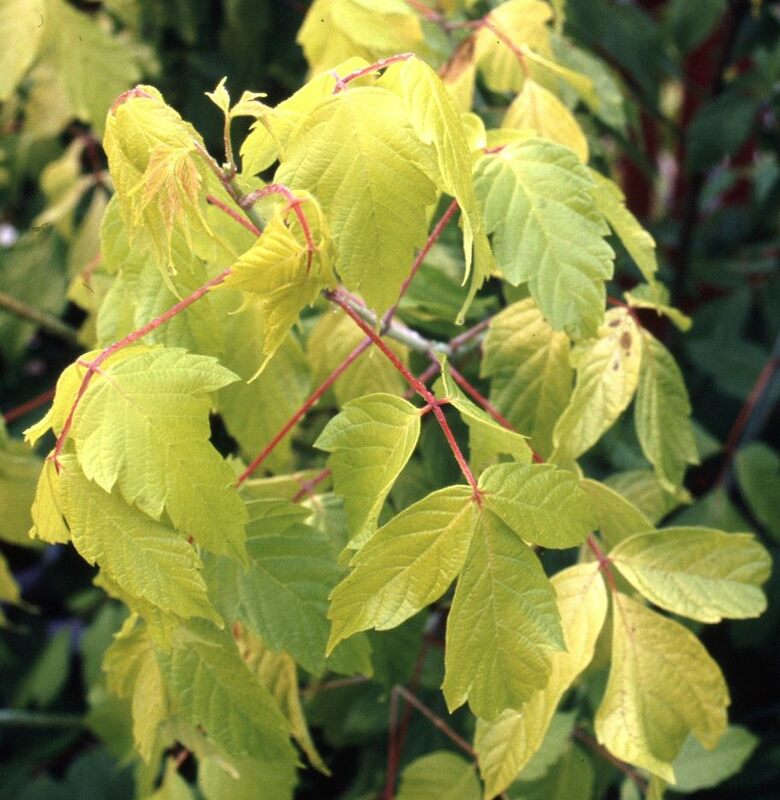 A higly recommended small to medium sized tree, with its final height a mere 6m (20ft), the box maple Kelly's Gold (Acer negundo 'Kelly's Gold') has particularly attractive small tree with golden-yellow leaves. In addition long golden tassled flowers in June are a striking feature of this tree. Hard prune this tree each Winter as this maximises its appearance. Prone to sun scorch in hot, dry sites. Our Box-Leaved Elder trees are supplied at a height of between 1.5 and 2.5 metres in a 12 litre container for year round planting.